While we do our best to secure and protect your purchase, we cannot be responsible for your purchase once you leave our shops or stands. If your product is damaged while in your possession we can offer a 10% discount on another purchase within seven days of the original purchase. In the unlikely event that your shipped purchased arrived damaged, we will replace your product at our expense. Claims must be submitted within seven days of receiving your order. Requests for replacement must also include a photo of the damaged item. 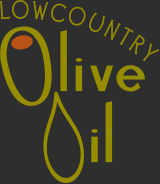 Items purchased from Lowcountry Olive Oil can be returned or exchanged if they are in new, unused condition within 30 days of receipt. Only sealed and unopened items in their original package will be accepted for exchange or refund. The original receipt must accompany the request for refund or exchange. Customers may return empty bottles to our Summerville or Charleston stores with a maximum discount of $2 per new bottle purchased. We ship to all 50 states. The majority of our orders are shipped via USPS. We strive to ship all orders within two business days. Weekend orders generally ship on Monday. Due to our shared stock between both our store front and our online store, filling orders is subject to availability. An email will be sent if the order cannot be filled. We do appreciate your business and your patience as we review our inventory and our ability to complete your order. For further questions, please contact us at info@lowcountryoliveoil.com or call 843-695-8327 or 843-297-0462. Both of our stores are equipped to answer your questions.